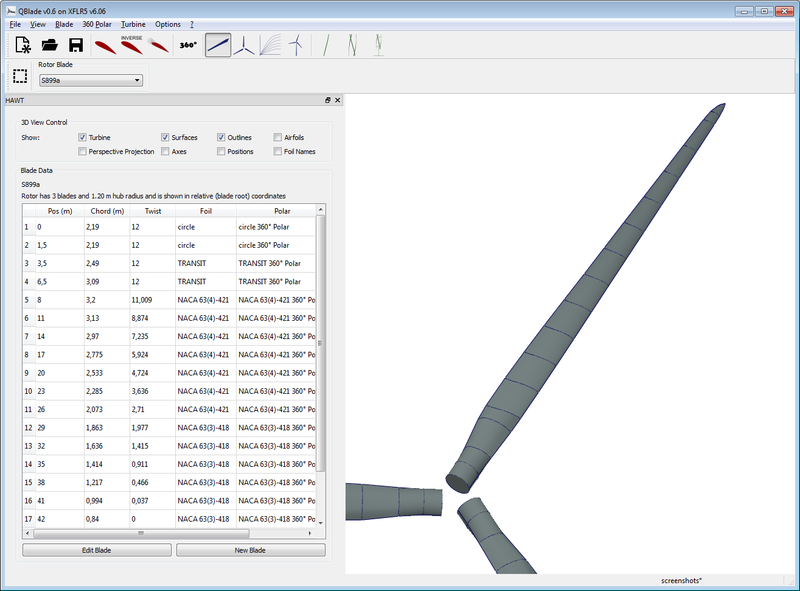 QBlade is an open source wind turbine calculation software, distributed under the GPL. 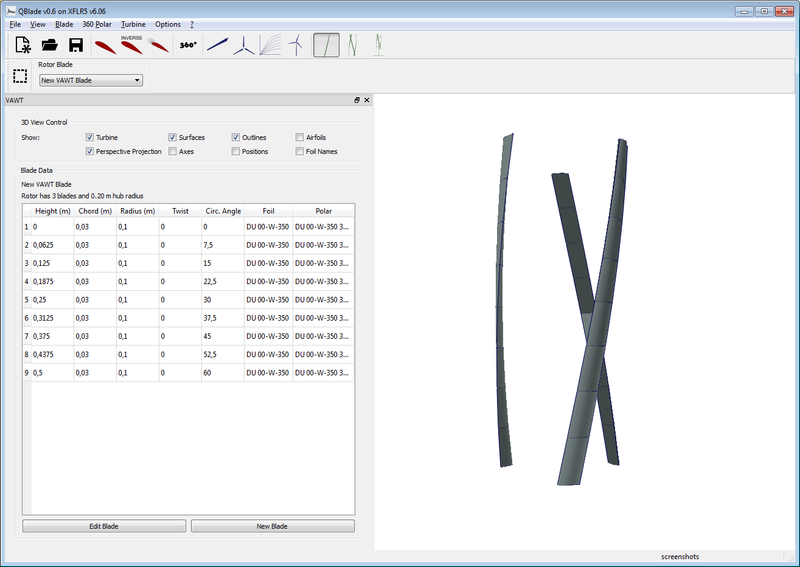 The integration of the XFOIL/XFLR5 functionality allows the user to rapidly design custom airfoils and compute their performance polars and directly integrate them into a wind turbine rotor design and simulation. 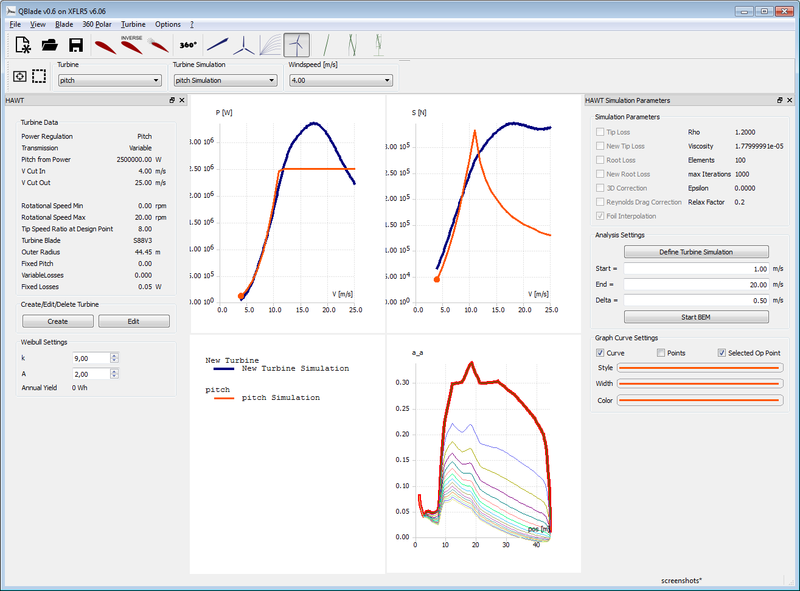 The software is especially adequate for teaching, as it provides a ’hands on’ design and simulation capabilities for HAWT and VAWT rotor design and shows all the fundamental relationships of design concepts and turbine performance in an easy and intuitive way. 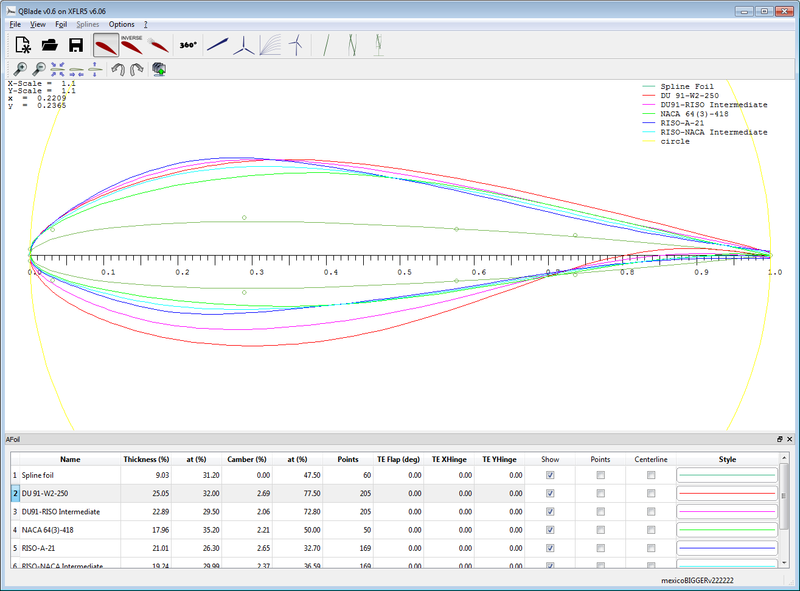 QBlade also includes extensive post processing functionality for the rotor and turbine simulations and gives deep insight into all relevant blade and rotor variables. 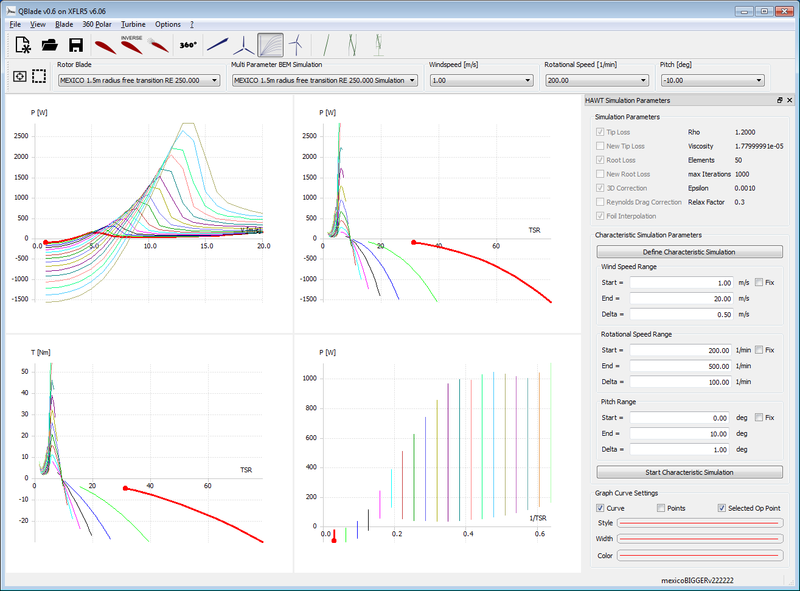 In addition to that, the resulting software is a very flexible and user-friendly platform for wind turbine blade design. Turbulent inflow field generator according to the model of Veers. - QBlade's development started a small part of the PhD work of G. Pechlivanoglou at the Hermann Föttinger Institute of TU Berlin. - The initial development was done by D. Marten who implemented all the standard airfoil and blade design and simulation routines based on the XFLR5 project. - J. Wendler under the supervision of D. Marten developed the VAWT module and the Viterna 360° extrapolation module. - M. Lennie performed the development of a structural Euler-Bernoulli beam module (QFEM). - N. Moesus further developed and integrated the code of G. Weinzierl and M. Lennie in the QBlade code. Furthermore he initiated the integration of a fully developed (GUI) for the aeroelastic code FAST or NREM/NWTC inside QBlade. - QBlade programming is currently handled by J.Wendler, N. Moesus and D. Marten and the latest version (v0.8) of the software was released in May 2014. 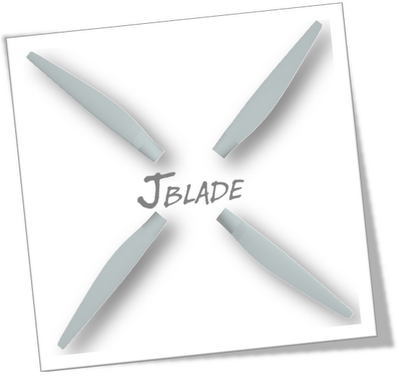 The software still has beta status, please report bugs to bugs@q-blade.org!!! New version v0.8 for windows & linux availiable!! One important point about the GPL is that this program is distributed without any warranty. Whether the warranty of merchantability, nor the warranty of fitness for a particular purpose. The resulting software is not intended as a professional product and does not offer any guarantee of robustness or accuracy. It is distributed as a personal use application only. We would be happy to answer questions, receive bug reports and give advise. If you have questions about the use of the software please read through the GUIDELINES and check our Blog. Most of all we would be glad to receive contributions from students and researchers who would like to be a part of the QBlade Team! !